“Travel along the Lincoln Highway, America's first transcontinental road. In 1913 there were virtually no paved roads outside a city limit, and automobiles were only good for a short drive in town. There were no gas stations or repair shops. Auto manufacturers soon recognized that a network of good roads was needed. They reasoned that if a paved road were to be built connecting the Atlantic to the Pacific, other communities would connect, and soon a national network would be built, making automobile travel practical. The road dedicated to Abraham Lincoln began September 14, 1913 as Henry B. Joy of Packard Motor Company; Frank A. Seiberling of Goodyear Rubber; and Carl Fisher, founder of Prest-O-Lite Company, maker of carbide car headlamps, announced this route to begin at Times Square in New York, and end 3,389 miles westward in Lincoln Park, San Francisco, passing along a corridor similar to today’s Interstate Route 80. The Lincoln Highway route in Ohio passed through Northern Ohio from East Liverpool to Van Wert. The success of the Lincoln Highway inspired connecting roads, and these were typically marked with symbols or colored stripes, sometimes painted on utility poles. By the 1920s, the federal government and states were building roads, and a new system was established for marking routes. Much of the Lincoln Highway across the country was designated U.S. Route 30. The Lincoln Highway Association ceased its operations in 1928. At that time 2,500 concrete directional posts were set by the Boy Scouts of America along the highway. Of these, some can be found yet today. This era of automotive history changed America. It helped create the modern auto age, the middle class, and changed how and where we live. In 1999, Ohio Lincoln Highway Association National President Bob Lichty of Canton joined with Main Street Galion, Ohio Director Mike Hocker and several convention and visitor bureau leaders to gain Ohio byway status, with the belief that as a commercial by promoting commercial destinations, travelers, shoppers and tourists could be better educated to learn more about this piece of American history. A coming together of Cooperation with the Ohio Lincoln Highway League, which comprises of three chapters of advocacy groups in Ohio with this new "heritage Corridor" group became a good fit for both created a new coalition to promote and advocate the history of the road.. This new partnership, along with the official Ohio Department of Transportation's granting of an official byway status in February of 2004 became a great advantage for businesses along the Ohio Lincoln Highway Corridor. Traditionally, businesses spent money and received benefits only on a 1 to 1 ratio, but because this organization is d Driven u Under the professional direction of convention and visitors bureaus (CVBs) across the state, members businesses’ ad dollars are maximized, and the message is much clearer and farther reaching about the history of the road. Individuals interested in saving this great piece of American history should consider becoming a FRIEND of the BYWAY. 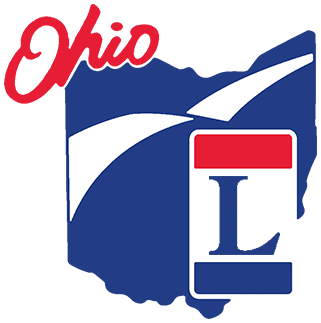 visit the website of the Ohio Lincoln Highway League, Businesses, chambers and CVBs, attractions and retailers interested in being a part of our mission should visit our Membership page. A national advocacy group comprised of over 1,000 members worldwide who support the history and preservation of the road. The association holds a convention every June somewhere along the road and offers bus tours, seminars and socializing as well as an annual meeting. In 1992, historians gathered to rebirth the Lincoln Highway Association, the original organization that created the road in 1913. By 2000 there were over 1,000 members, with 120 in Ohio alone. Our organization, which is dedicated to the travel & tourism part of preserving the history through economic support. Businesses and convention bureaus benefit from our efforts, and in return they help promote the road. This is your way of supporting the efforts of our organization.